The legislature is an organ of the government which is empowered to make laws and oversee the administration of the government. There are two kinds of legislatures prevalent in the world, i.e. unicameral and bicameral. The unicameral legislature is the system of the government where a single central unit has got the wholesole right to make laws and decide upon government policies. On the contrary, a bicameral legislature is one where there are two chambers of Parliament, i.e. the Upper house that represents States, and the other is the Lower house that represents people of the country. In this type of legislature, the powers are shared by the two houses. Let’s take a read of this article to understand the difference between unicameral and bicameral legislature. Meaning The form of government that consist of only one legislative house or assembly, is called unicameral legislature. The legislative system of the country, comprising of two-tier assemblies is known as bicameral legislature. When in a parliamentary system there is only one house to perform all the activities of the legislature, i.e. enacting laws, passing a budget, looking after administration, discussion on matters concerning developmental plans, international relations, national plans etc., then this form is called as Unicameral legislature or Unicameralism. The members in case of a unicameral legislature are directly elected by the people and so it represents all the people. Further, due to its simplicity, there are fewer chances of a deadlock situation. Some of the countries where the unicameral legislature is practised are New Zealand, Iran, Norway, Sweden, China, Hungary etc. The bicameral legislature, or bicameralism, refers to the lawmaking body of a country that comprises of two separate houses, i.e. the Upper house and the Lower house that shares the powers. Its primary objective is to ensure just and fair representation of all the sectors or groups of the society, in the Parliament. The bicameral structure is adopted in United Kingdom, United States, India, Canada, Spain, Japan, Italy, etc. The members of the lower house are elected directly by the people through general elections to represent the general public. On the other hand, the indirect method is used to elect members of the Upper house, which indicates political subdivisions. The composition of the two chambers of the Parliament is different, in the number of seats, powers, voting process and so forth. 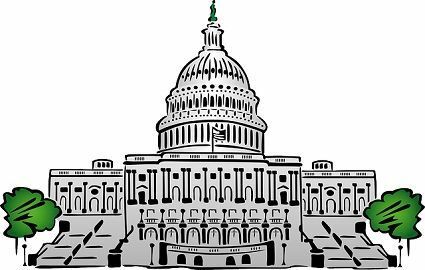 Unicameral legislature or unicameralism is the legislative system having only one house or assembly. Conversely, bicameral legislature refers to the form of government, wherein the powers and authority are shared between two separate chambers. In a unicameral government, the powers are concentrated in a single house of the Parliament. As against, in a bicameral government, the powers are shared by the Upper House and Lower House. The unicameral legislature is followed when a country is structured on a unitary system of government. On the contrary, the bicameral legislature is practised in a country where there is the federal system of government. The decision making on policies and lawmaking is more efficient in the unicameral legislature, as compared to the bicameral legislature. This is because, in a unicameral legislature, there is only one house so the passing of law consumes less time. In contrast, in a bicameral legislature, the bill has to be passed by both the houses of the parliament, to become an act. In a unicameral legislature the chances of deadlock situation is rare. But, in case of a bicameral legislature, deadlock is common, when the two chambers are in disagreement, with respect to an ordinary bill. Then in such a case a joint sitting of both the houses is summoned by the President to resolve the gridlock. The unicameral legislature is best for countries which are small in size. In contrast, the bicameral legislature is appropriate for large countries. The unicameral legislature is prevalent in those countries where there is no requirement of the bicameral legislature, as well as the primary advantage is that lawmaking is easy. A bicameral legislature is adopted by many countries of the world, to give voice to all the social group and sectors. In this way, it assures representation of all the classes of people. Further, it prevents centralization of power but may result in deadlocks, that makes the passage of law difficult.